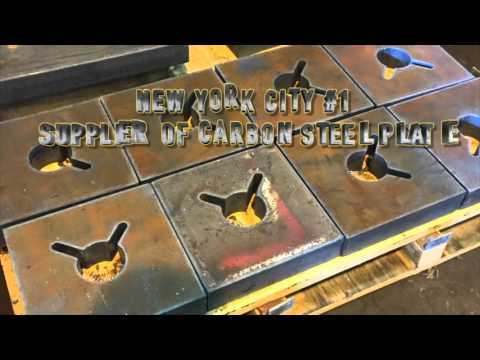 NYC, Rolled Carbon, Low Alloy commercial quality Steel Diamond Plate, also known as Floor plate, Tread plate, Checker plate and Safety plate, has a bluish grey finish and is one of Allied Steel of NYC most popular steel products. A four way raised pattern on one side of the steel plate that provides skid resistance for high traffic areas in New York City, such as floors, ramps, stairs and marine docks. 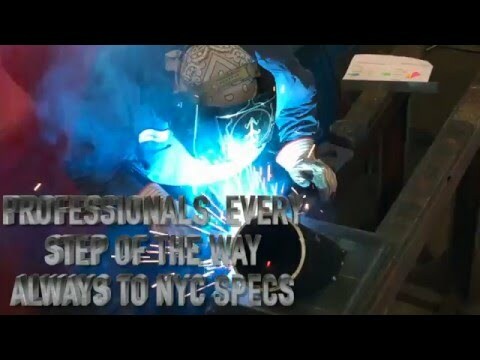 Allied Steel NYC are Custom Steel Fabricators, we offer a myriad of different steel and metal services that cut the steel, punch steel and metal, bend and weld A786 steel diamond plate into many different products for countless industries in New York City including commercial construction, transportation, truck repair, industrial maintenance, specialty, movie and entertainment. 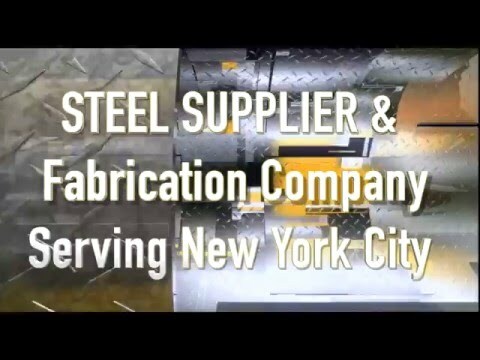 Allied Steel has a long list of fabricated products including custom metal ramps, steel walk ways, metal loading docks and trench covers as well as, metal/steel stair treads and platforms used in fire escapes and building stairwells throughout NYC five boroughs. 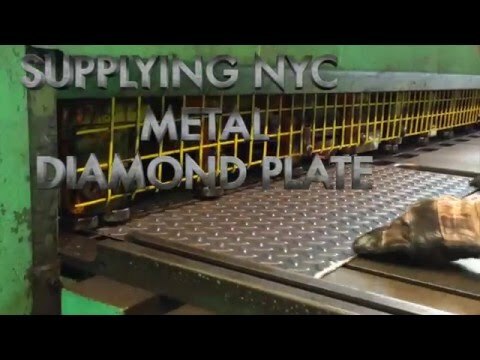 At Allied Steel NYC we have the capacity to fabricate much heavier diamond plate, including thicknesses of up to as thick as 1 inch. 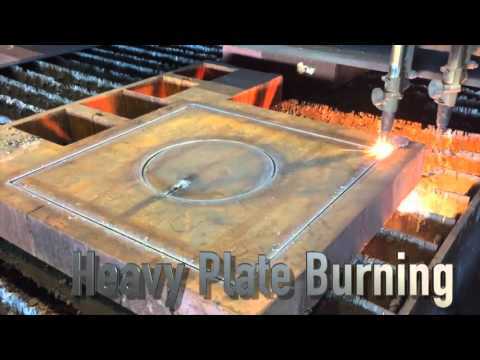 Our state of the art Plasma cutting units and Oxy-Fuel burning machine can custom fabricate metal/steel diamond plate to any shape or size, always with precision tolerances and accuracy according to your exact specifications. 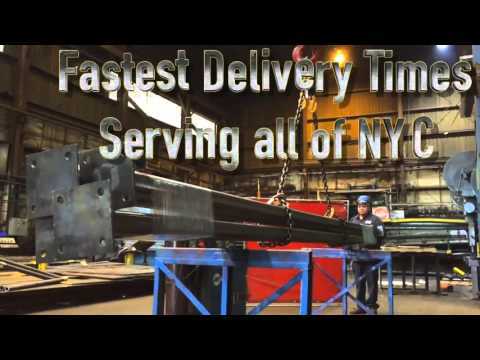 Allied Steel of New York outperforms our competition because we are a highly reliable Steel Diamond Plate supplier as well as a quality custom steel fabricator with some of the best customer service in the steel industry. Allied Steel NY custom fabricates 3003 Aluminum Tread plate, a general-purpose alloy grade Diamond Plate with moderate physical strength and excellent slip resistant properties that has good workability and is easily bendable and weldable but may not be desirable for machining because of its softness. 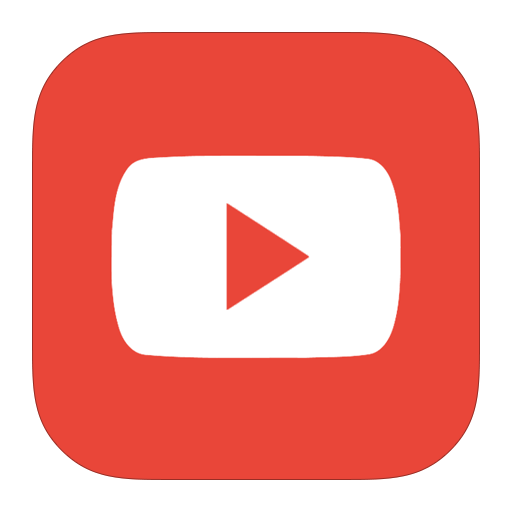 Great for certain construction jobs in NYC, it is very light and visually appealing with a highly polished-bright chrome like finish. 3003 and 6061 aluminum alloy grade offers excellent corrosion resistance and is used in many architectural cosmetic applications and custom automotive accessory parts. 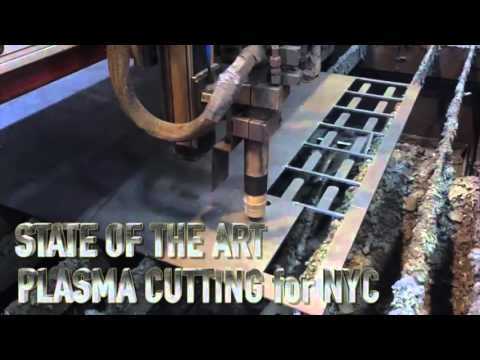 Allied Steel of New York steel warehouse/plant will custom fabricate and cut to size 3003 Aluminum Diamond Plate to any shape or design, always to your exact specification utilizing our latest Plasma cutting technology. 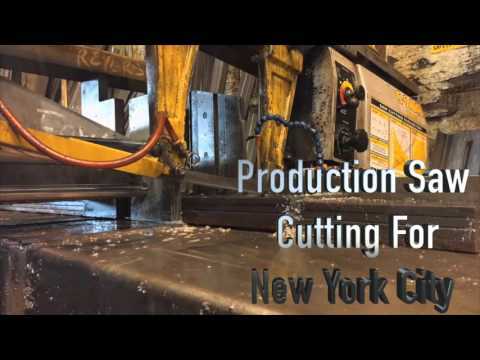 In New York City, your best place to order custom fabricated Stainless Steel Diamond Plate is Allied Steel NYC. 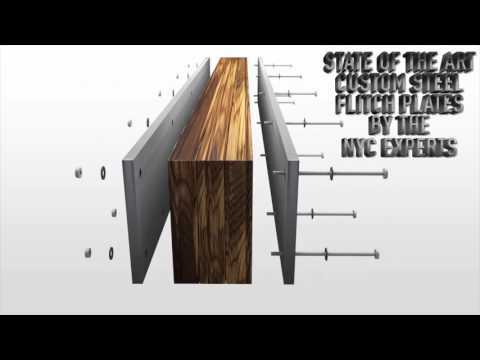 Stainless Steel plate from Allied Steel NY is available in type T-304 grade. This steel is a general-purpose commercial grade alloy possessing excellent formability and high physical strength of 34 KSI min yield strength and 85 KSI min tensile strength. T-304 Steel is used in a wide range of NYC industrial construction and renovation projects requiring corrosive resistance properties against atmospheric conditions. This metal is hot rolled; pickled and annealed giving it a dull grey mill finish, unlike the shinier finishes found on Aluminum diamond plate, it also could be special ordered to a polished finish. 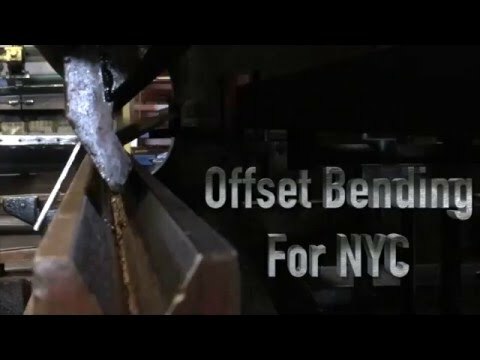 Custom Metal fabrication of Stainless Steel Diamond Plate is Allied Steel NYC specialty, we possess the fabricating capabilities to cut, bend, form, punch, drill and weld providing you, our customers with superior quality Stainless Steel Diamond Plate products for any New York City job. 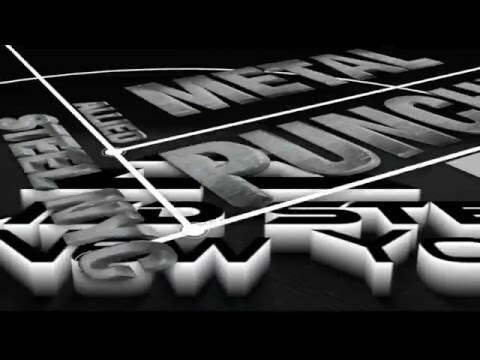 Stainless Steel Diamond Plate is used in many different New York based industries such as industrial maintenance and marine construction. 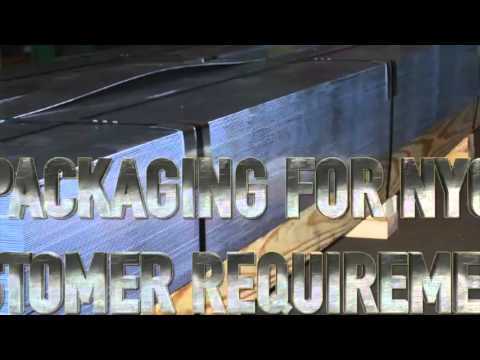 Allied Steel NYC fabricated Diamond Steel products are most often used in NYC for steel walkways, steel ramps, diamond plate stair treads, steel loading docks, metal catwalks and floors. T304 steel diamond plate grade offers superior strength, durable wear, improved traction and high-level corrosion resistance properties, its very desirable steel product that is utilized by NYC contractors.